When a couple is faced with infertility, it can be a crushing blow. But in this day and age, there are so many treatment options, including In-Vitro Fertilization, that have given the gift of life to so many couples. Many have given their hearts and souls over to the IVF process, and fertility centers, where information and test results are double and even sometimes triple-checked to ensure a healthy pregnancy, so rarely does anyone ever fathom that a mix-up could happen during the process. However, one Italian woman is dealing with just that after another couple’s embryos were transferred to her womb. The mistake occurred on December 4th, when four other couples were also undergoing fertility treatments at the Sandro Pertini Hospital in Rome. While the staff is unsure if the mix-up also resulted in any other women becoming pregnant with the wrong embryos, they are looking at that possibility as well. Heath Minister Beatrice Lorenzin spoke of the mix-up on Sunday, stating that investigators are checking on whether the hospital had “respected all the legal procedures,” also sharing her concern that the woman implanted with the wrong embryos had only learned of the mistake through the press reports. It has been found that one of the other women, also receiving IVF treatments at the same time, had a similar surname to the woman whose womb the incorrect embryos were transferred into, which may have contributed to the mix-up. Investigators believe that either the staff could have mixed up the embryos which were ready to be transferred, or the women could have responded to the wrong surname as they were called from the waiting area. The woman carrying the wrong embryos is now pregnant with twins, but is planning to keeping the babies, according to Michele Ambrosini, the lawyer representing her. Ambrosini added “If she had wanted an abortion she would have already done it.” The real mother of the twins’ IVF treatment resulted in a miscarriage. Experts speculate that the biological parents of the twins would not be able to gain custody of the children, as Italian law states that whoever gives birth to a child is the legal mother. 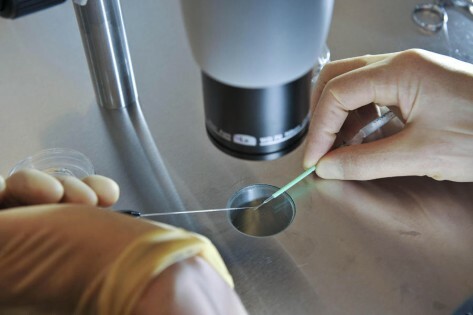 The fertility center has said that they are halting all embryo transfers at their clinic until further notice, as an investigation being led by geneticist Giuseppe Novelli will be looking into the possibility of any further mix-up of the embryos of the two other women who were present at the clinic on Deceber 4th.